If you tell rich people that they can't have something, that just makes them want it more. They can't all have Ferraris, which is part of the allure. Incoming Ferrari chief Sergio Marchionne wants to increase production to ease the tension with potential buyers. Mistake or brilliant? Yesterday, Luca di Montezemolo resigned (sure, resigned...) his position as Ferrari's Chairman after 23 years at the helm. He was famous for both expanding production of the world's defining supercar manufacturer while somehow also maintaining an almost excruciatingly painful level of exclusivity. 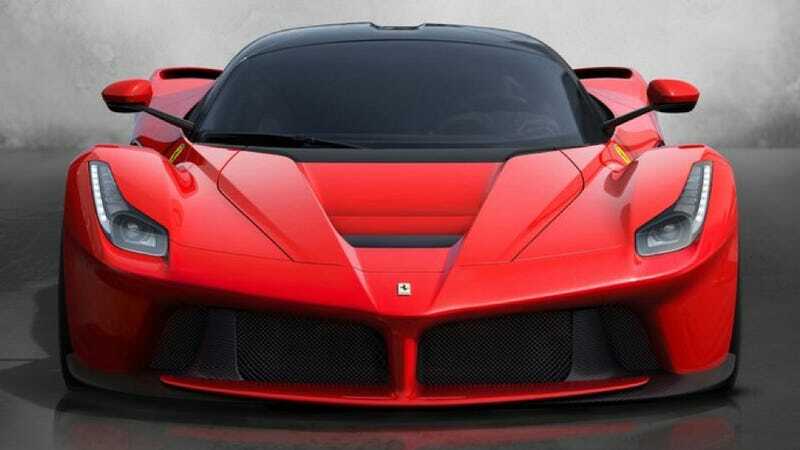 Cars like the LaFerrari cost $1.3 million and just 499 will be built. There is demand for more of them, a lot more of them, but Ferrari hasn't been willing to build more of them since demand creates a conversation, a conversation creates jealousy, and jealousy creates more demand. It's a cycle that Ferrari is happy to be involved in. But Sergio Marchionne, who takes over Ferrari officially on October 13th, has said that he wants to gradually increase production to keep pace with the growing super rich population. That increase in production could include the LaFerrari, according to Bloomberg. To give an idea of the increase that Marchionne wants, Montezemolo had plans to limit Ferrari production to 7,000 cars a year. Marchionne believes the brand could sell 10,000 a year. Hopefully a boost in production and less exclusivity will not diminish the Ferrari brand and will keep that Ferrari mystique that has been famous for decades.